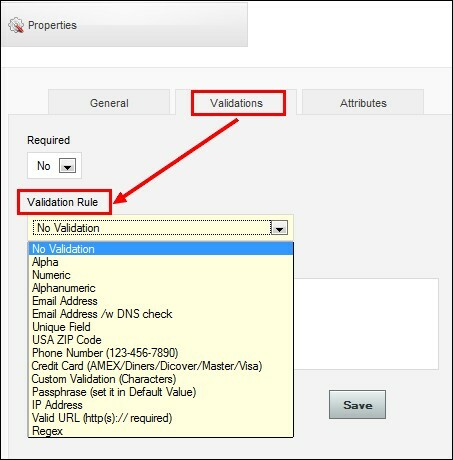 multiple validation rules, fallback method for Joomla! language files, migration plugin for BF Forms and many more. "USA ZIP Code" validation: checks if the submitted values are USA valid zip codes. "Regex" validation: when applying this validation rule, advanced users can create their own validation patterns. Within a few clicks, you can now migrate all your Joomla! 1.5 forms created with Blue Flame Forms into your RSForm!Pro installation. Once you have installed the BF Forms plugin, you will be able to import via the “Configuration” tab, all your forms along with their submissions. The PHP Email Scripts area has a new option, “Script called before the Additional Emails are sent”, which allows you to control, via the $additionalEmail variable, the email information. The Fallback method included in revision 41 will load, by default, the English language file whenever RSForm!Pro encounteres issues in the configured language file. Hi. I saw you RS Form Pro and its great. How can I buy it?